At McCarroll Real Estate we pride ourselves on finding the best solution to our clients' housing needs. Usually this means helping people buy, sell or rent a home. 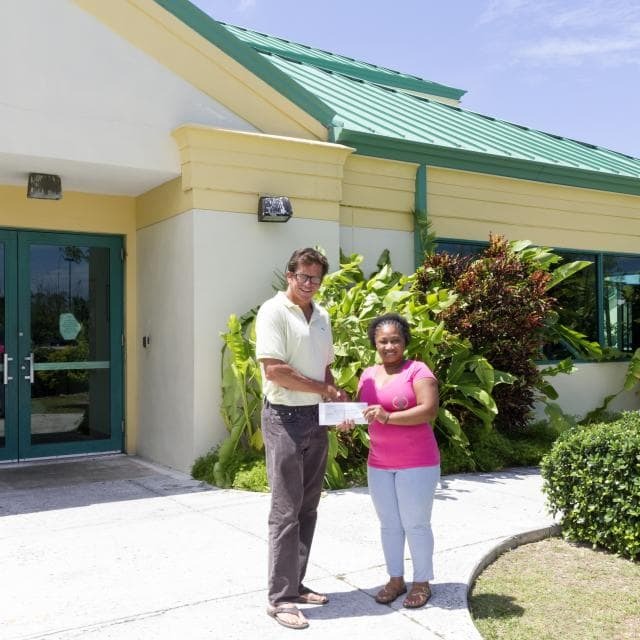 While New Providence was spared any damage from hurricane Irma, and experienced only minor disruption, we wanted to contribute towards the expense of housing those who were evacuated from other islands. Barely a stone's throw from McCarroll Real Estate's office, New Providence Community Centre opened it's doors as a hurricane shelter and is currently housing residents evacuated from some of the Southern islands of The Bahamas that received the full effects of the storm. NPCC is currently housing a total of 155 evacuees from Inagua (15 persons), Acklins (120 persons), Crooked Island (8 persons), Mayaguana (10 persons), Ragged Island (2 persons. Around 80 volunteers are there daily as well as members of the Royal Bahamas Defense Force and Social Services. On Saturday 16th September, the evacuees will be transferred to Kendall Isaacs gym. The community centre is trying to make them as comfortable as possible. McCarroll Real Estate wanted to contribute to the many expenses related to their housing needs, as well as volunteering our time. It's truly a team effort with many amazing individuals and organizations rallying together to show the true meaning of community spirit. Our team member, Claire, offered to help cook and found herself enlisted to prepare a hot evening meal for 225 people with a small oven that has 6 burners, 2 helpers and someone manning the grill. She said it was like an episode of Mission Impossible but everyone got fed (albeit slightly behind schedule!). Sharing the stories of those who have lost their homes but remain positive was a truly humbling and rewarding experience.